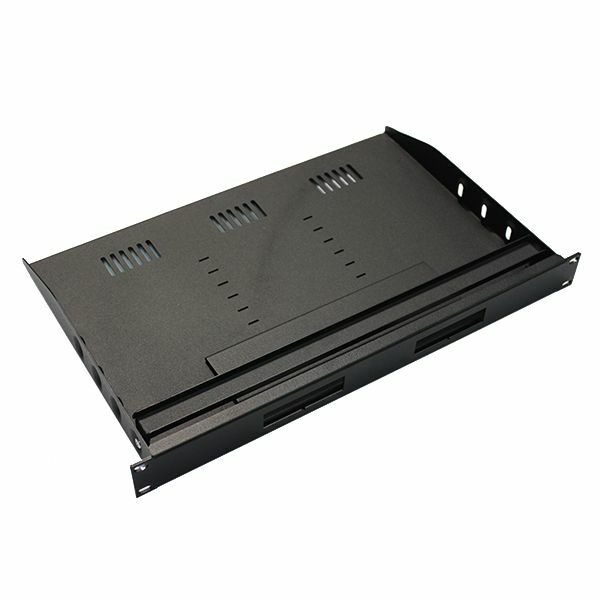 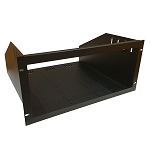 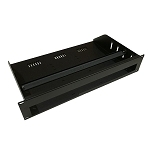 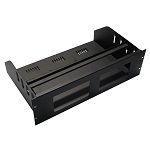 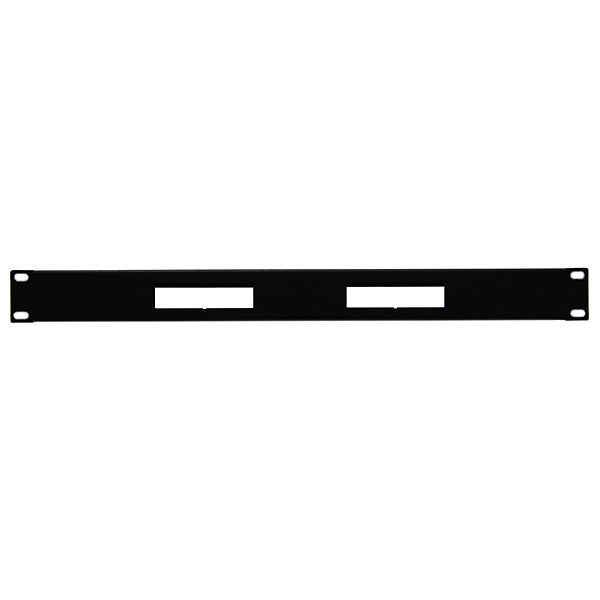 1U ventilated rack-mount for two Apple TVs (side-by-side). 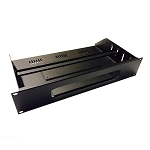 Features an adjustable clamp to securely hold the Apple TVs in place and a cut-out to accommodate the placement of a wired IR flasher on the component s IR sensor. 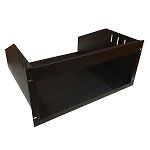 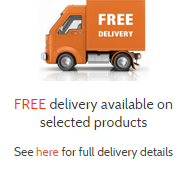 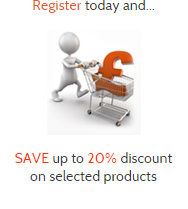 Manufactured from 16-gauge pressed steel, 300mm deep, black powder coated finish.